Thomas Ehretsmann has created yet another amazing portrait. 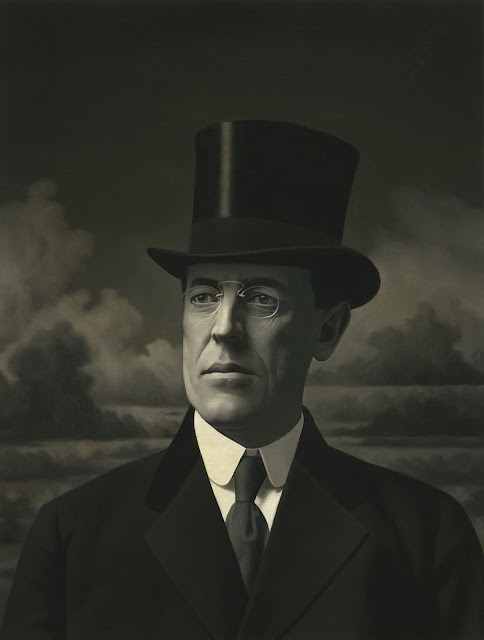 This one was commission by Princeton Alumni Weekly who needed a piece to accompany an article about their famous and influential alumni, Woodrow Wilson." A member of the Class of 1879, Wilson spent 24 of his 67 years at the University, as a striving student, revered professor, and reformist president." Check out the entire article!